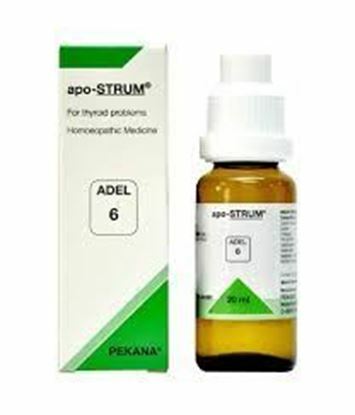 Information about ADEL 1 Apo-Dolor Drop Adel 1 - Apo-Dolor Drop consists of Aconitum napellus 4X, Bryonia cretica 6X, Gelsemium sempervirens 4X, Menyanthes trifoliata 6X, Piper methysticum 8X, Schoenocaulon officinale 4X, Semecarpus anacardium 6X and Spigelia anthelmia 6X. 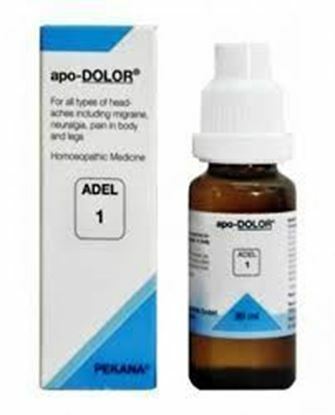 Adel 1 - Apo-Dolor drops are highly effective against migraines, as well as headaches caused by nervous tension, emotional conditions or internal regulation dysfunction, including stomach and intestinal dysbiosis. This remedy also helps relieve joint and muscle pain, particularly in the neck, lumbar region and in the body and legs. 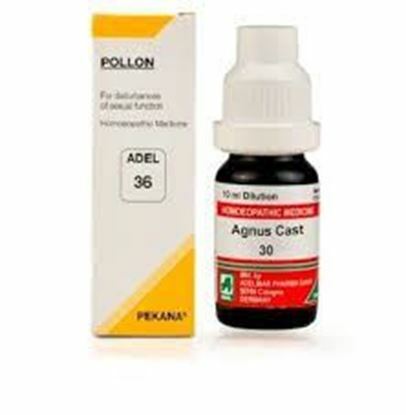 Role of key ingredients:- Aconitum napellus -Headache treatment that addresses burning and stabbing pains with the feeling of "running ants" (formication) and numbness. It also helps relieve restlessness caused by psychic stress, and reduces hypersensitivity to light, noises or even the slightest draft of wind. 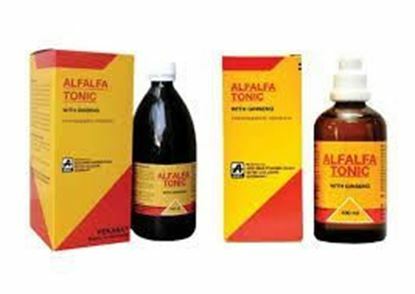 Bryonia cretica cures bursting, splitting headaches and stabbing pains in the limbs associated with gastrointestinal tract problems that point to a systemic insufficiency. It also treats joint pains exacerbated by movement that can hinder sound, healthy sleep. Gelsemium sempervirens eliminates congestive, migraine-type headaches brought on by emotional excitement, as well as headaches related to sinus infections and eye strain or dysfunction. It also helps prevent heart irregularities that can lead to collapse. Menyanthes trifoliate provides relief from pressure headaches and trigeminus neuralgias. 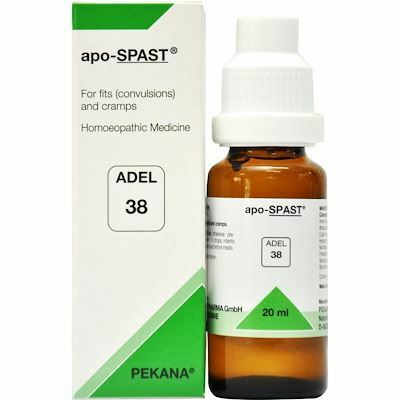 This substance also addresses fever attacks, disruption of body eat regulation and cramps of the joints and organs. By influencing the limbic system to help balance emotional processes, Piper methysticum cure neuralgias triggered by fear and nervous tension. These conditions are often found in persons who are mentally overtaxed and exhausted. Sabadilla resolves dizziness and brain fog, along with central nervous system dysfunction and the regulation of heart function. It also helps regulate proper stomach function, and treats pathogenic rheumatic and nervous system conditions. Semecarpus anacardium treats nervous exhaustion due to mental strain and combats stabbing pains in the head, eye pressure and ringing or humming sounds in the ears. Spigelia anthelmia primarily addresses the left-sided pain of trigeminal neuralgia that affects the eyes and nose area, and normally is most intense at mid-day. It also treats conditions of excitement and heart muscle pain that often correspond with this condition.